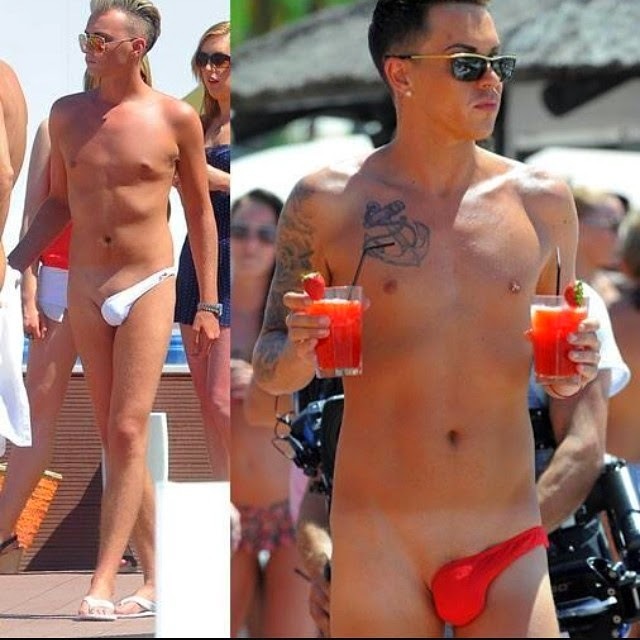 The Only Way Is Essex's stars, Bobby Norris (in red) and Harry Derbridge (in white) wore these mankinis or male thongs to the beach while on holiday in Marbella recently. The British reality stars turned plenty of heads at the beach as they let it all hang out in their unusual choice of swimwear. According to Mark Simpson, the man who coined the term 'metrosexual' 20 years ago, 'Mark Simpson, the man who coined the term 'metrosexual' 20 years ago'. He said unlike metrosexuals who fret over their wardrobe and complexion, sponsosexual's primary concern is his body. He's a social media & selfie-obsessed male, who thinks nothing of using and abusing products, practises and pleasures previously only the domain of women and gay men. FIFA President Sepp Blatter launched a scathing attack on those he said were "plotting to destroy" world football's governing body, and branded some of the criticism of the Qatar World Cup award for 2022 as racist. Blatter was addressing delegates of the African and Asian confederations at their extraordinary congresses ahead of FIFA's annual congress which starts on Tuesday. "There is a sort of storm against Fifa relating to the Qatar World Cup," Blatter said. "Sadly there's a great deal of discrimination and racism." The African congress, which declared its "continued support" for Blatter, who intends to run for a fifth term as president next year, also passed a resolution condemning what it called the British media's racist attack on its officials. Blatter's comment came in the wake of a series of fresh allegations made by Britain's Sunday Times newspaper about the award of the Cup to Qatar and rumblings from sponsors who are unhappy with the current trouble FIFA is facing. Blatter, without defining who "they" were, told Asian delegates "they want to destroy us; they don't want to destroy football, but they want to destroy the institution (FIFA)". Qatar denies the allegations and says it was not connected to Bin Hammam. 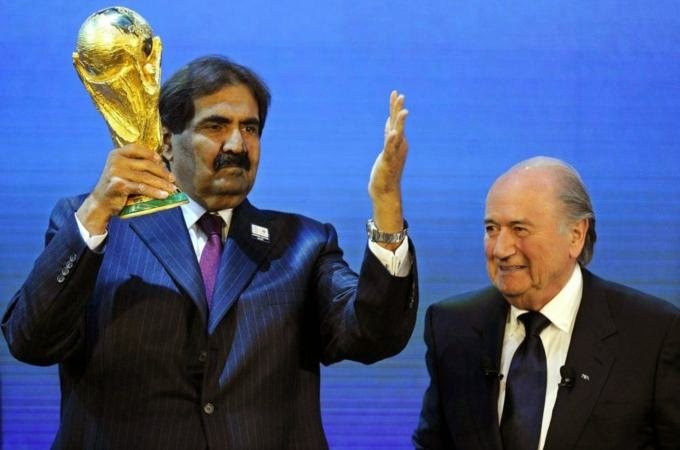 Qatar was awarded the World Cup by the FIFA executive committee in December 2010, beating rival bids from the United States, Australia, Japan and South Korea. 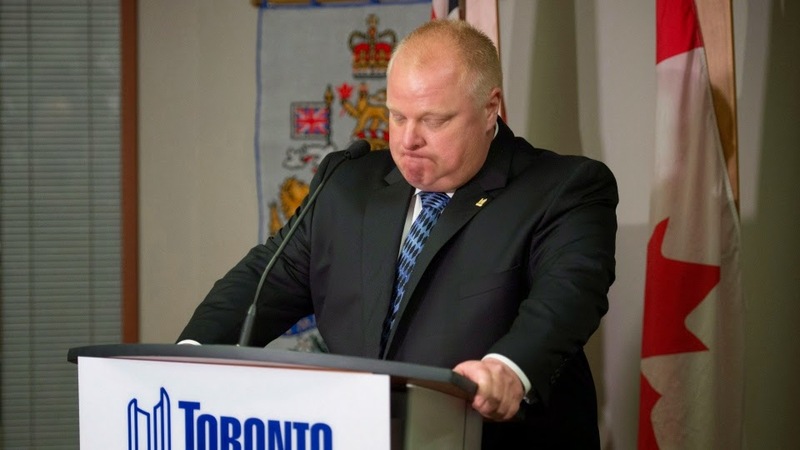 Mayor Rob Ford has publicly apologized to the citizens of Toronto, saying he was "blind to the dangers of some of the company" he kept, and is committed to "living clean" following a two-month stint in rehab. In a press conference Monday afternoon, Ford said he is "ashamed, embarrassed and humiliated" by some of the choices he made in the past. ty or offend my fellow members of council. I deeply regret some of the personal choices I have made in the past." Ford, who returned to city hall on Monday after a two-month stint at GreenStone rehab facility, also apologized to mayoral candidate Karen Stintz for the "hurtful and degrading remarks" he made about her. "I offer a deep-felt apology for my behaviour," he said. Ford took a sudden leave of absence from office back in April to seek professional help for substance abuse, following a new string of racist, sexist and homophobic comments that were recorded and made public. In one of the recordings, Ford is allegedly heard making lewd comments about Stintz, who is also a Ford’s council colleague, while at a bar. These are private shirtless selfies of rapper Drake a female fan leaked online last week. Drake sent the phone photos to the fan on instagram and she was supposed to send hers to him too but instead she exposed the photographs. Drake is not happy about it, but 10.8million women all over the world are! Bless him! Talent, good looks and ripped abs. 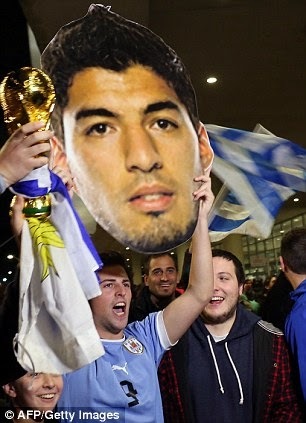 The Uruguay and Liverpool striker was on Thursday banned for nine international games and from all football for four months after being found guilty of biting for the third time. 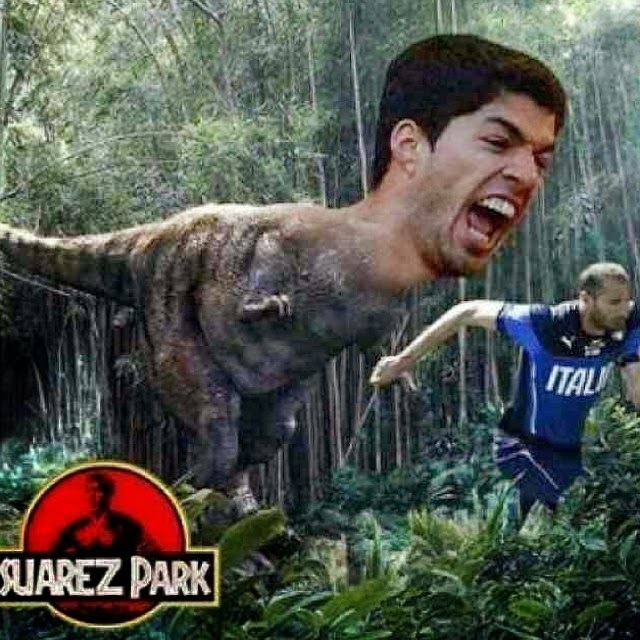 A statement on 888poker.com on Friday morning read: "888poker signed Luis Suarez following a fantastic season for which his achievements were widely recognised. 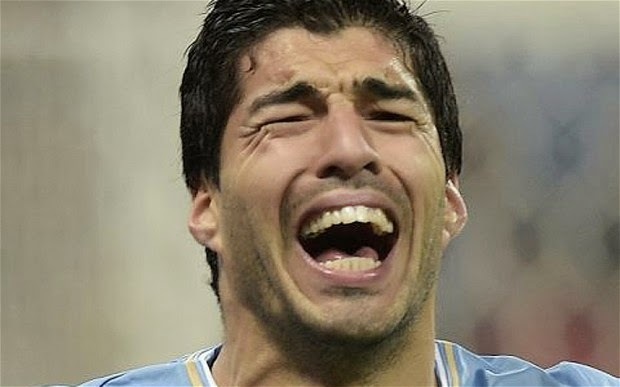 "Regrettably, following his actions during Uruguay's World Cup match against Italy on Tuesday, 888poker has decided to terminate its relationship with Luis Suarez with immediate effect." 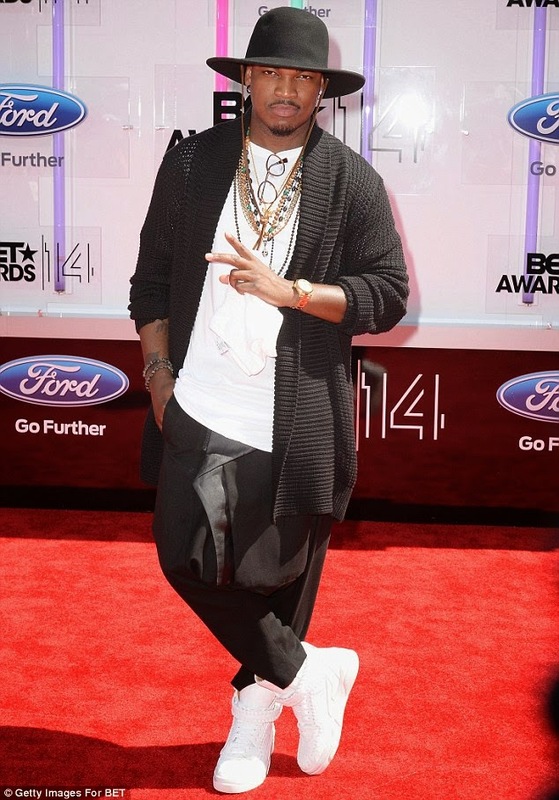 The 2014 BET Awards held last night June 29th at the Nokia Theatre in Los Angeles. Pictured above are; Keke Palmer and Ashanti. mentally ill when he shot and killed his girlfriend Reeva Steenkamp, in his home in February 2013, a report has been released. A panel of mental health experts has concluded that Oscar Pistorius was not suffering from mental illness when he killed Reeva, the chief prosecutor at his murder trial said today. 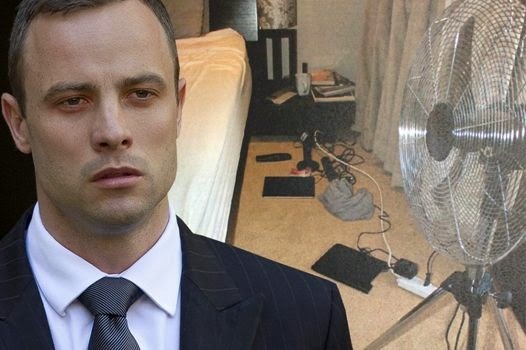 The mental experts, a psychologist and 3 psychiatrists all agreed that Oscar understood the gravity of his act when he shot Reeva through a closed toilet door. The request for evaluation came after his defence team brought a psychiatrist who testified that Oscar had an anxiety disorder, because of his disability, that could have contributed to the shooting. His trial resumed today after a 1-month break. 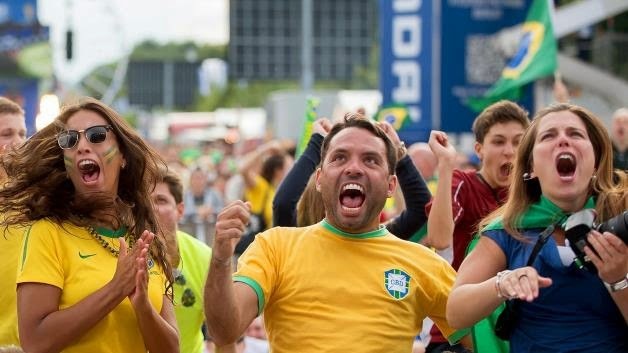 Fans of Brazil celebrate during a public viewing while watching the Brazil FIFA World Cup 2014 round of 16 match between Brazil and Chile in central Berlin, Germany, 28 June 2014. Nervous Brazilian soccer fans took to Twitter to breathe a collective sigh of relief as the final, tension-filled moments of a penalty shootout against Chile broke an all-time record for online buzz during a live event. Almost 389,000 tweets were generated in the minute after Chilean defender Gonzalo Jara’s penalty shot hit the right post and allowed the five-time World Cup champion to avoid an early exit from the tournament that it’s hosting for the first time since 1950. That broke the previous mark set during this year’s Super Bowl. About 382,000 tweets were sent just after the Seattle Seahawk’s Percy Harvin returned a kickoff 87 yards for a touchdown, according to data compiled by the microblogging site. Canadian Drake wins the best male Hip Pop Artist of the year. Needless to say, he has one of the biggest hip pop album of the year. The awards show kicked off live at 8 p.m. ET on BET from the Nokia Theatre L.A. Live in Los Angeles. It ended just shy of midnight on the east coast. 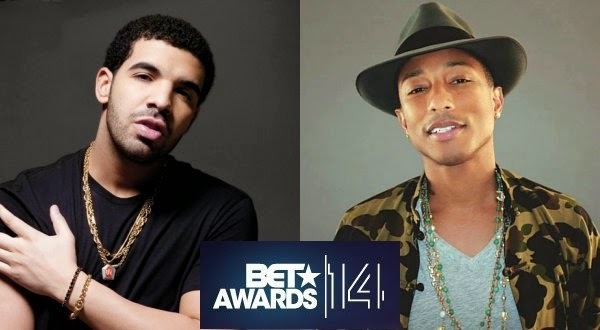 The 2014 awards show will premiere elsewhere around the world on BET's international network on Tuesday at 8 p.m. GMT. Pharrell Williams - who opened the show with a surprise appearance by Missy Elliott - took home two of the biggest awards of the evening, while Drake beat out Jay Z for the coveted Best Male Hip Hop Artist award. 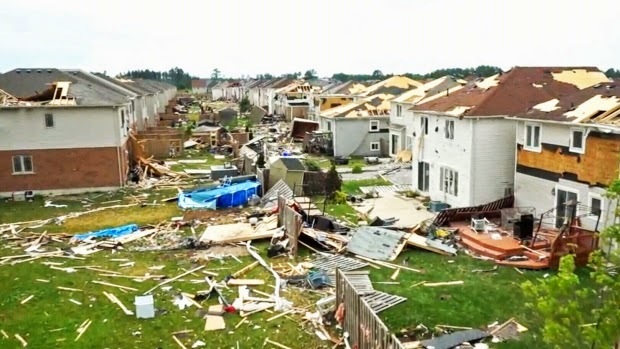 WINNER: Pharrell Williams – "Happy"
Officials say approximately 300 residents remain displaced after a tornado struck the community of Angus, Ont. on June 17 Tuesday, and there’s no clear timeline for their return home. "We have 102 homes affected,” Essa Fire Chief Cynthia Tustin said at a news conference Thursday morning. Many residents still haven’t been allowed to return to their homes after a tornado touched down in Angus at approximately 5:20 p.m. on Tuesday, damaging property and injuring three people. OPP Staff Sgt. Brian Humber explained natural gas lines and hydro lines in some of the homes could pose a risk to returning residents. "We want our residents in their homes as soon as they want to be in there, but we need to make sure they are safe," Mayor Terry Dowdall said. In the meantime, police and fire crews have accompanied some displaced residents to their homes, helping reunite them with their pets, or recover medication. Amanda and Tim Leal, who had part of their roof torn off during Tuesday’s tornado, were able to retrieve some small items from their home, including wedding photos and clothes for their two small children. 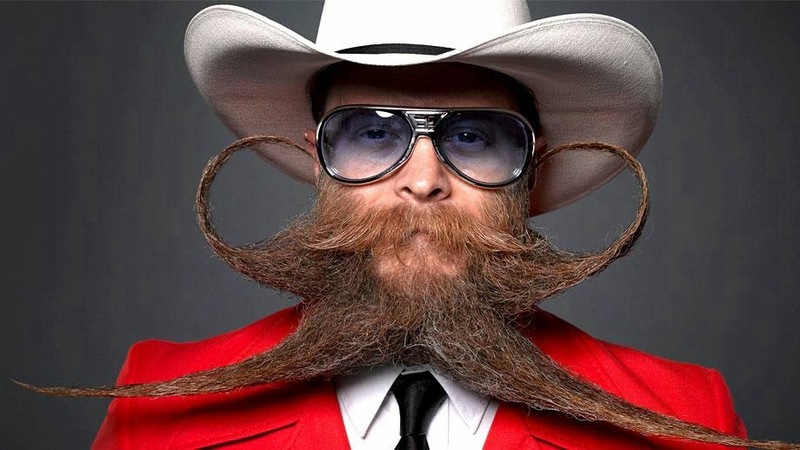 These days, beards are the international symbol of the hipster. Growing in their kilometres, these wiry rugs of goodness hang off men (and some unfortunate women) the world over. So with all that competition out there, who reigns supreme when it comes to crowning the very best? Well, each and every year the citizens of New Orleans get together to find out. On show at the recent US National Beard and Moustache Championships, here’s a selection of the best on show thanks to the wonderful work of photographer Greg Anderson. There are categories for full and partial beards, moustaches and every other ill-categorised patch of facial hair. In Jules Verne's classic adventure novel, Phileas Fogg had a devil of a time trying to travel around the world in 80 days. But in the 21st century, circumnavigating the globe has become a bit of a breeze: all you need is a round-the-world (RTW) ticket. In fact, a dedicated (if masochistic) traveller could squeeze it into a few jet-lagged days. If you have 80 to spare, though, you have enough time for a life-changing trip, and the opportunity to visit places that will stay with you forever. But careful planning is essential if you're going to make the most of your precious time. Airline landing by mike_miley. Creative Commons ShareAlike Licence. Buying an RTW ticket can be far cheaper than purchasing separate tickets linking each of your destinations. Normally, RTW tickets allow you to visit up to 16 different places with a minimum of three stops. Most airlines are now part of global alliances, so it’s sensible to pick a ticket with an airline that has multiple partners so you can travel with any of them. The biggest airline partnership is Star Alliance (www.staralliance.com), which has 28 airlines covering almost a thousand destinations in 162 countries. 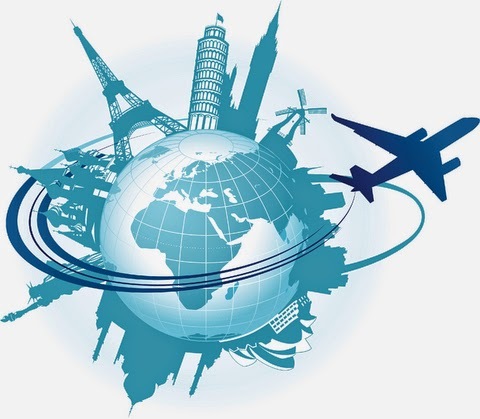 They offer four different versions of RTW ticket, depending on the number of miles you want to travel, starting at 26,000 miles and going up to 39,000. Oneworld (www.oneworld.com), with 11 member airlines, is the next best option, again offering a selection of RTW tickets with varying amounts of miles. A number of individual airlines – including Virgin Atlantic (www.virgin-atlantic.com), Air New Zealand (www.airnewzealand.co.uk), KLM (www.klm.com) and Singapore Airlines (www.singaporeair.com) – offer RTW tickets too. But their tickets are only valid for their own planes. Decide whether you plan to travel east or west. All RTW tickets require you to head in one direction or the other and keep moving the same way. And, just like Phileas Fogg, you’ll have to start and finish your journey in the same place. Trans-Siberian by Boccaccio1. Creative Commons Attribution Licence. Do you want an active, adventure-focused experience? Or is seeing glorious landscapes your goal? Are you keener on cities and culture than lazing on a beach? Whatever you decide, bear in mind that most RTW tickets involve flying in and out of major hubs like London, LA, Sydney, Bangkok and Rio de Janeiro; adding more out-of-the-way destinations will increase the cost of the ticket dramatically. 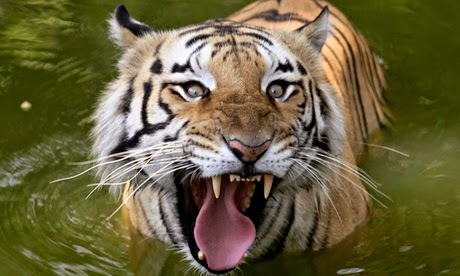 A Bengal tiger snatched a man from a fishing boat in eastern India, dragging him into a mangrove swamp as his children looked on, the man's son said on Friday . The attack happened on Thursday as Sushil Manjhi and his son and daughter were crab fishing in the Sundarbans national park. The tiger leaped aboard the boat and clamped its jaws on Manjhi's neck, his son, Jyotish, said. "[The tiger] quickly flung my father on his back and gave a giant leap before disappearing into the forest." Jyotish and his sister tried to beat the animal with sticks and a knife, but his father was dragged away and was presumed dead. The attack underlines the difficult existence of millions of poor Indians who make a living by scavenging in forests and rivers, often at risk from wild predators. Many villagers fish for crabs in the Sundarbans – even though it's illegal in the protected reserve – because they fetch a good price at markets in nearby towns. 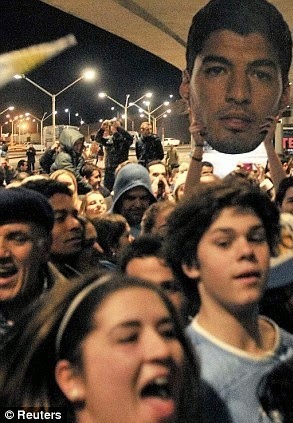 Luis Suarez returns home to a hero's welcome after being booted out of the World Cup . 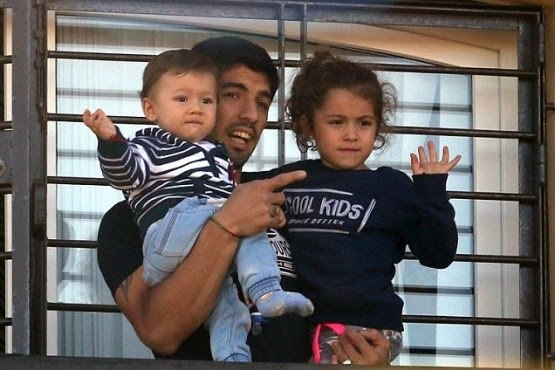 Luiz Suarez returned to his native home of Uruguay yesterday June 27th to a hero's welcome after being booted out of the World Cup and banned from all football for four-months for biting Italian defender Giorgio Chiellini. Not only were hundreds of fans at Montevideo airport to welcome him, waving banners of support, but the president of Uruguay, Jose Mujica, was also at the airport. 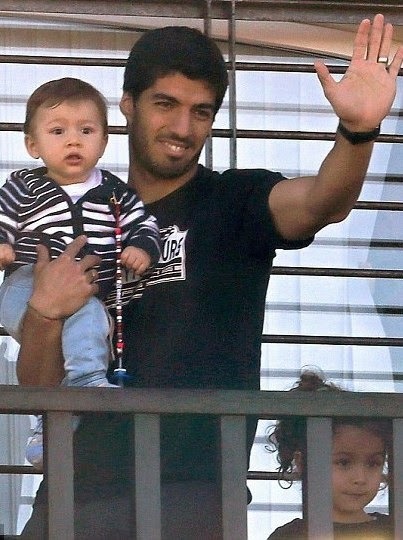 Luis Suarez pictured above with his children, Benjamin and Defina as he greeted fans from his mother's home in Lagomar. A Russian policewoman shoots during a "Miss Security" contest in Moscow, 2004. Russian policewomen bared their legs, navels and a bit of cleavage as they competed to become Moscow's first Miss Security. Russia’s Military of Internal Affairs is enforcing a crackdown on police attire in response to rapidly rising hemlines on the skirts of Russian policewomen. The crackdown aims to prohibit all these irregularities. Along with the stricter dress code, new orders also forbid the use of headphones or earphones on duty. Deputy Interior Minister Sergei Gerasimov insisted that unprofessional apparel would undercut the authority of the police force and said that violators of the new code would be punished. “When you meet people, the first thing you see is their clothing, and for a police officer fulfilling his duties, it is crucial to have a tidy and neat appearance,” Gerasimov told Izvestia. 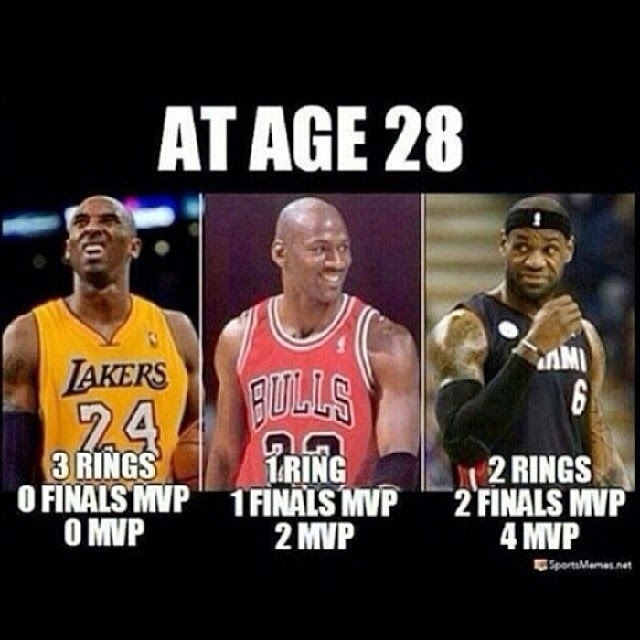 Lebron, Kobe and Jordan Achievements at Age 28. Immigration groups are urging the Canadian government to take responsibility for sponsoring a minimum of 10,000 Syrian refugees over the next two years, ahead of World Refugee Day on Friday. The Office for the United Nations High Commissioner for Refugees asked countries around the world in February to take in 100,000 Syrian refugees in 2015 and 2016. 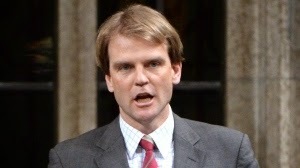 The Canadian Immigrant Settlement Sector Alliance, a national umbrella group that represents provincial associations who support the settlement and integration of newcomers to Canada, is urging Immigration Minister Chris Alexander to respond to that appeal by agreeing to sponsor at least 10,000 Syrian refugees by the end of 2016. "We should step forward to offer the UNHCR a minimum of 10,000 resettlement spaces or 10 per cent of the current appeal over the next two years," the group said in a letter to Alexander dated June 4. "We would like to propose that the 10,000 additional resettlement spaces be considered through the government assisted refugee program," said the letter to Alexander dated June 4. The alliance is proposing the government resettle 2,830 Syrian refugees in Ontario in 2015 and 2016, 2,720 in the Prairies, 2,484 in Quebec, 1,134 in B.C., and 830 in the Atlantic provinces. Legendary singer and one of Britain's wealthiest musicians Sting has revealed that his 6 children will not inherit his $300million fortune. 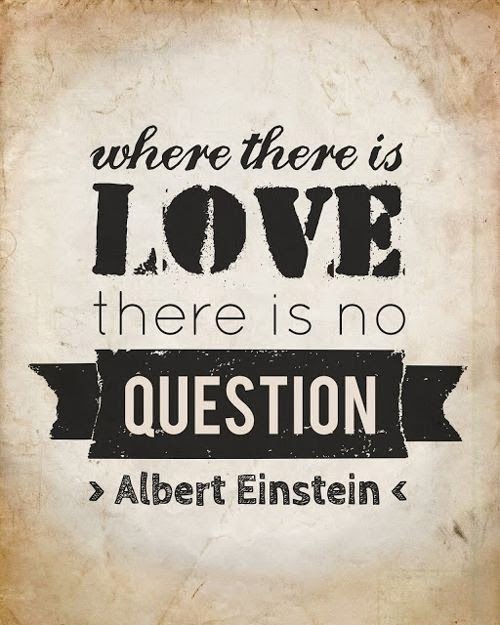 His reason? "His wealth will be albatrosses round their necks". Sting, in a recent interview said he'd told his children not to expect to inherit a dime of his money because he doesn't believe in trust funds, and has advised them to go make their own money. "I told them there won't be much money left because we are spending it. We have a lot of commitments. What comes in we spend. I certainly don't want to leave them trust funds that are albatrosses round their necks. They have to work. All my kids know that and they rarely ask me for anything, which I really respect and appreciate." Sting, 62, has 6 children – Joseph, 37, Kate, 32, Brigitte Michael, 30, Jake, 28, Eliot Pauline, 23, and Giacomo Luke, 18...from two marriages. 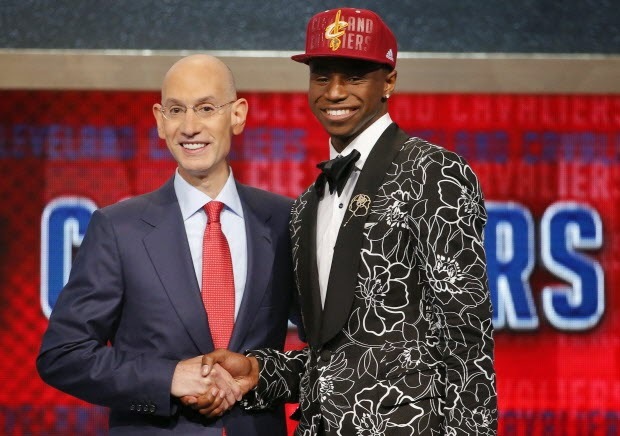 Canada's Andrew Wiggins has been taken by the Cleveland Cavaliers with the No. 1 pick in the NBA draft. The Cavs went for a freshman from Vaughan, Ont., to open the draft for the second straight year Thursday and will hope Wiggins works out better than Anthony Bennett of Brampton, Ont. With Andrew Wiggins at No. 1, it was a big night for Canada and Kansas. And it better be the right one for the Cavaliers. Cleveland went north of the border to open the NBA draft for the second straight year Thursday night, hoping Wiggins works out better than Anthony Bennett. Thrilled to go first and even happier when Jayhawks teammate Joel Embiid went two picks later, Wiggins beamed in his black tuxedo jacket with a white floral pattern. "A thousand thoughts are going through my head right now," Wiggins said. "It's a dream come true." Grocery store chain Sobeys Inc. will close about 50 underperforming stores across Canada following its $5.8-billion acquisition of Safeway. The company made the announcement in an earnings release on Thursday from Empire Inc., parent company of Sobeys. "During the fourth quarter of fiscal 2014, Sobeys completed a detailed full review of its retail store network," the company said. "Based on this detailed review, Sobeys has determined that consistently underperforming stores, representing approximately 50 stores ... and 3.8 per cent of the total retail network gross square footage will close." About 30 of the stores are in Western Canada, the company said, without divulging any more details about specific locations. But CIBC analyst Perry Caicco, who covers the company, said in a research note "it is probable that 20 of these closures will be in the terrible Ontario market." 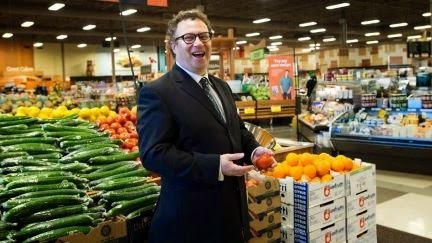 Sobeys' parent company says it will close four Sobeys locations in Calgary as well as one Safeway store there in the coming months. - Sobeys Deer Point, 14939 Deer Ridge Drive S.E. 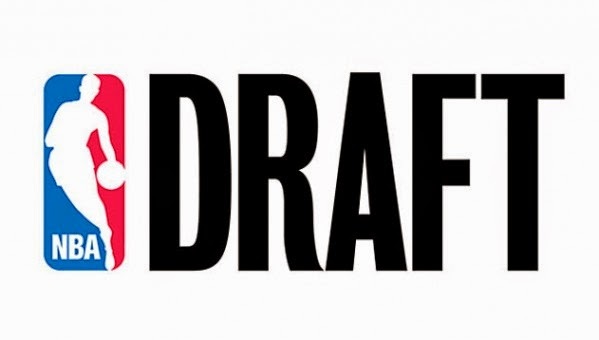 Draft-night surprises don't come from who gets drafted but when, since the eventual makeup of the first round is predicted well in advance of the draft itself. But trades, slides, early selections, reaches and tumbles are part of the draft's appeal, and in the first round in particular. The 2014 version was no exception: Joel Embiid remained a top pick, Aaron Gordon went a bit ahead of schedule and Gary Harris suffered a major tumble, for example. Kansas center Joel Embiid began the offseason as one of the top-ranked prospects in the NBA draft, perhaps right alongside former teammate Andrew Wiggins, but saw his stock dinged by concerns over two injuries: one to his back, which kept the freshman out of the NCAA tournament, and a second to his right foot, which demanded surgery June 20. Yet despite the injury concerns – something Kansas Coach Bill Self dismissed before the start of Thursday's draft – Embiid didn't drop very far, going third overall to the Philadelphia 76ers, two spots after Wiggins was taken by the Cleveland Cavaliers. The 76ers are banking on Embiid's potential, willingly rolling the dice on his projected growth even as he spends the next four to six months recovering from his recent procedure. When he does see the court, Embiid will join another player coming off an injury, Nerlens Noel, along the 76ers' frontline. Don't question the athleticism: Arizona's Aaron Gordon can leap out of the gym, as proved during his highlight-reel performance during the NCAA tournament. Instead, question the jump shot – a major weakness at this point – and wonder why the Orlando Magic didn't opt to spend the fourth overall pick on upgrading its backcourt. Several guards remained on the board: Dante Exum, for one, who went one pick later to the Utah Jazz, and Marcus Smart, who went No. 6 to the Boston Celtics. While Gordon has a Blake Griffin-like skill set, either Exum or Smart would have given the Magic an immediate boost in the rush for a playoff berth. The former one-and-done UCLA guard is the greatest boom-or-bust pick of the lottery. Minnesota took LaVine 13th overall after he averaged 9.4 points and 1.8 assists per game during a single season with the Bruins. That's what Esther Honig asked 40 photo editors to do -- in over 25 countries. Using the service-sharing site Fiverr, Honig, a human interest reporter, sent a picture of herself to be photoshopped around the world to see just how much cultural values are applied to standards of beauty. The results throw the idea of "the perfect woman" into sharp relief. Honig found that individuals from every country applied a distinct perspective on beauty to her image. She was surprised by the degree to which a country's cultural values could show up as aesthetic preferences. Specifically, an image she received back from Morocco was "a bit of a shock initially." She told The Huffington Post via email, "[It] definitely highlighted my own lack of cultural awareness. Of course, someone from a country where the primary religion is Islam might elect to add a Hijab to my image as that aligns with their own cultural customs. For me it really added depth to my project by touching on the concept of religion and custom, not just aesthetics." Seeing her image manipulated in so many dimensions had a profound impact on Honig's own self-perception. "I voluntarily sought out this opportunity and was pleased with how it turned out, but it did make me more aware of certain things like the uneven tone of my skin which was touched up by nearly every editor," she said. "I’ve watched my image subtly soften with filters and cloning brushes as well as radically transform with splicing, stretching and re-angling that completely restructured my face. Seeing some jobs for the first time have made me shriek." Honig is reluctant to draw a "moral of the story" from the project, which is ongoing. "Flipping through the collection of Before & After, one may spot trends in models of beauty that represent each designer’s culture of origin, but that is entirely based on our interpretation," she said. Still, the project dispels the myth of a singular beauty norm. As Honig wrote on her personal website: "Photoshop allows us to achieve our unobtainable standards of beauty, but when we compare those standards on a global scale, achieving the ideal remains all the more elusive." Check out the rest of the incredible images below.